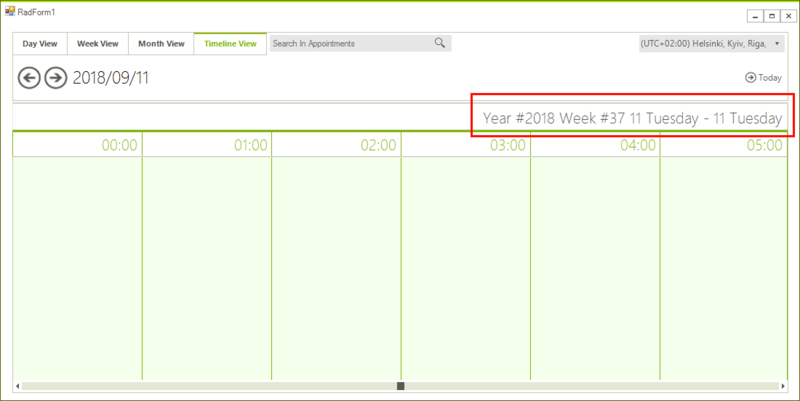 An example demonstrating how the header text of the RadScheduler can be updated when the control is setup in Timeline View. The text of the header cells can be customized by accessing the header row. The actual cell element will be also updated in the formatting events changing its Text so it will be necessary to cancel the TextChanging event in those cases and to update it with the custom implementation.